Blake likes to build things all the time. 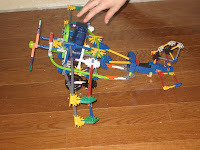 He builds with Lego's, Kynex, or whatever he gets. He loves it and he has always been very good at it. He does it all by himself with no help from anyone. 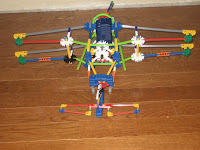 This is one of his latest builds that he built after school today. He builds something new almost everyday! 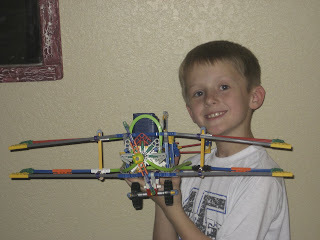 This is so cool because he put a motor in it that turns the propeller!